It hasn’t even been a year since Resident Evil 7: Biohazard‘s release and we’re already getting a Gold Edition of the game. Seriously, what’s up with that, Capcom? I’m not going to regurgitate what I said about the main game back in January, so you can my read my full review here. I will stand by my original statement, though, and say it’s one of the best releases of the year. 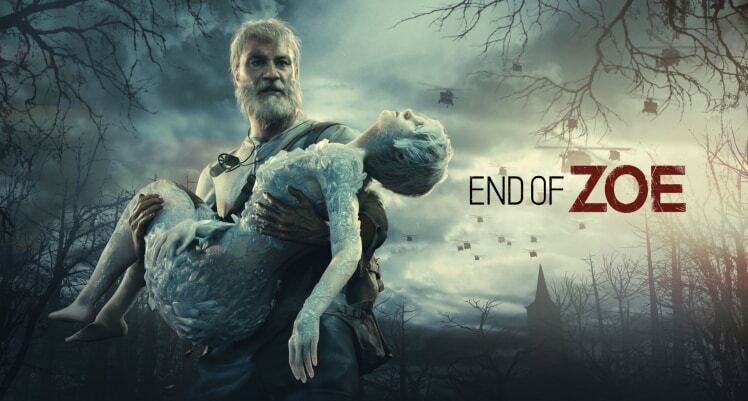 Not only did it manage to deliver an engrossing new story, but it also reinvented the Resident Evil franchise in a good and much-needed way. Nonetheless, what we’re here for is to find out about this re-release, packed with DLCs, and if it’s up to scratch and worth it. 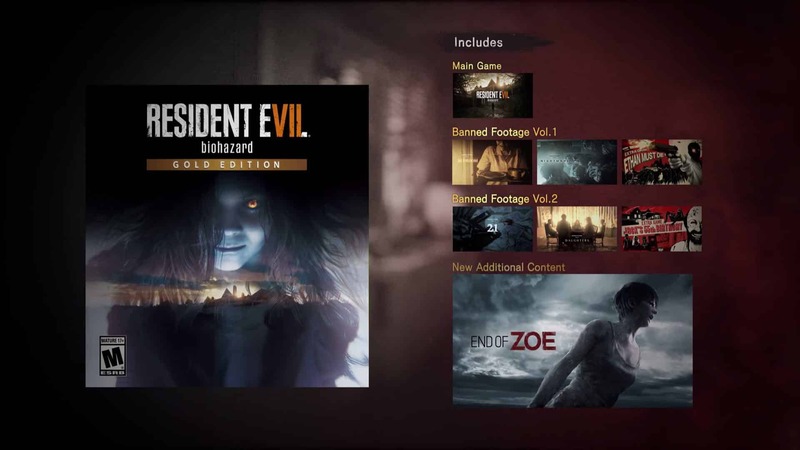 Resident Evil 7: Gold Edition consists of the original game, plus both volumes of “Banned Footage” and “End of Zoe”. 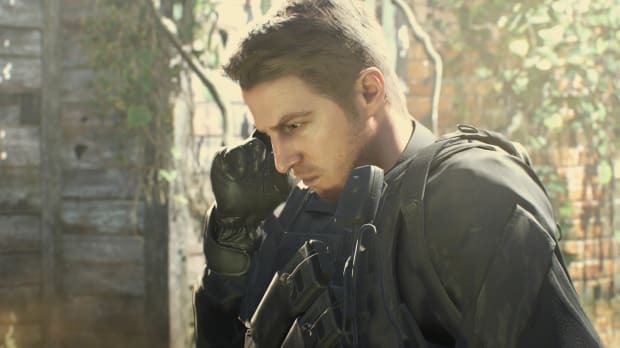 Additionally, every owner of Resident Evil 7: Biohazard will be able to download the “Not a Hero” DLC, which features fan-favourite Chris Redfield in the leading role. In terms of “Banned Footage”, the volumes aren’t really that exciting and focus more on mini games and challenges than new narratives. Sure, you can sharpen up some skills, but it lacks the engagement and magic of the main game. The standout episode is unquestionably “21”, which plays out like a twisted Blackjack game that could’ve been ripped right from the Saw series. While you’ll get more Baker family mayhem for your buck, the replay value is low with this DLC. “End of Zoe” fares far better. It’s a short story mode that follows Joe, Zoe’s uncle and Jack’s brother, as he tries to save his niece from her infected family. Unlike the main story’s lead character, Ethan Winters, Joe is quite powerful and his fists pack a punch – plus, he’s fully capable of creating his own weapons from whatever lies around. It’s a satisfying, although not exceptional, chapter. You might think then that “Not a Hero” will be the best of the lot, since you have Chris at your disposal as he tracks down Lucas Baker. However, t still has several flaws. For one, it’s roughly 90 minutes long, so you can clock it in no time and without fuss. Second, Chris feels almost too invincible here. While there was a certain vulnerability to Ethan in the main game, which made the setting equally terrifying and challenging, Chris feels way too OP. And finally, there’s no big twist or revelation that sets up the next chapter of the franchise. Yes, it’s good that it’s a self-contained chapter, but wouldn’t you have liked to see something more than a straightforward hero saves the day story? While “End of Zoe” and “Not a Hero” are both fun, add to the overall experience, and don’t look out of place in this release, I wouldn’t rush out to purchase Resident Evil 7: Gold Edition (plus, you can get “Not a Hero” for free anyway). The original story is still the boss here, and is unparalleled in the quality of its gameplay and storytelling. The additional content is a nice-to-have but not a must-have. Again, like I’ve said numerous times before about special editions, if you have the original Resident Evil 7: Biohazard, this will only be a vanity purchase. If you don’t have it, though, consider getting your hands on this version for all the extra goodies.